A Lovely Life, Indeed: Yum! Sugar Free Chocolate Chip Cookies! Yum! Sugar Free Chocolate Chip Cookies! 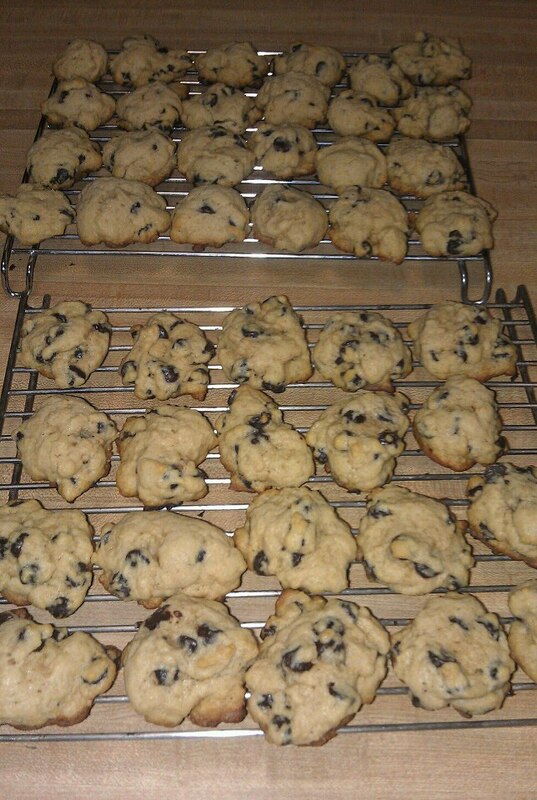 A snowy day here in New England means some shoveling and some baking. Lucky for me, that means some much needed, post-holiday exercise and a sugar-free (and butter-free) treat. 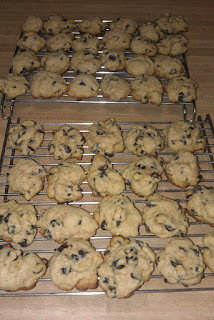 I used Hershey's sugar-free chocolate chips (I get them at Walmart) and brown and white Splenda. The recipe is on the back of the bag. The recipe calls for butter, but I used Smart Balance sticks. And you could probably sub out some of the flour and add something like oatmeal. I will definitely try that next time. Overall, the cookies are delicious. They're not overly sweet. They hold their shape; they don't spread and flatten. I will definitely make these again, but experiment a bit and try to make them with less flour and maybe add some PB2 for some low-fat, peanuty flavor and some extra protein. Two thumbs up for this girl . . .and hubs loves them too. A win-win. Sounds great! I never knew there were sugar free chocolate chips!